Founded in 1837, the charming urban village design, a sophisticated approach to sustainable development and ongoing public-private partnerships result in a remarkable level of architectural integrity, community interaction and economic vitality in New Albany. New Albany is full of Timeless architecture, a vibrant mix of neighborhoods a nationally ranked school system and a pedestrian-friendly village square anchored by a library, restaurants, shops, and offices. New Albany is a master planned community built upon the best traditions of a small town America. Many New Albany homes were built during the 1980’s and 90’s and have European architecture with classical interiors to match. The Georgian style home is popular but does not offer the functionality that is desired today. Many remodel requests involve increasing functionality while respecting the history and design of the home. Our designers love the challenge of designing a space that ties into the rest of the home while simultaneously optimizing the functionality of the space. 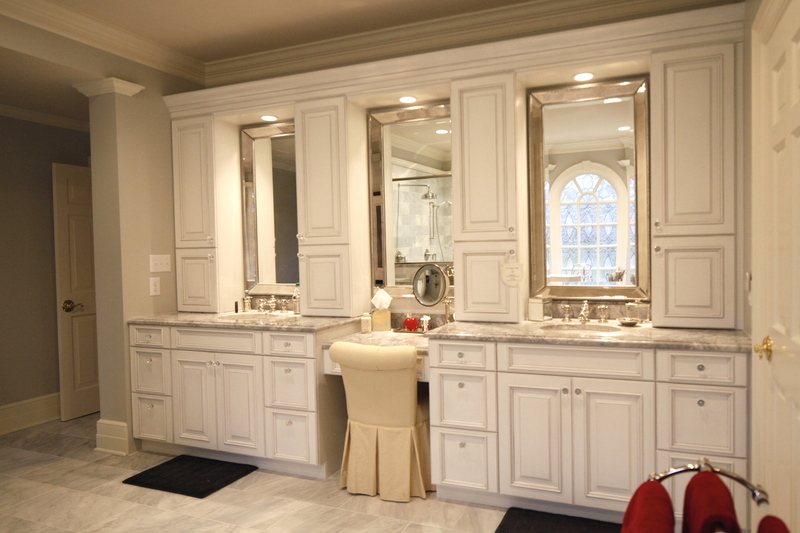 Kitchen Kraft takes pride in working with products and cabinet manufacturers to meet our New Albany client’s needs.